Kitchen and home appliances are any machine that reduce human effort in carrying out tasks around the house. Jumia Egypt has a huge collection of the best kitchen appliances and they are all from trusted brands which include Universal, Skywolfeye, Eissely, Braun, Dream Art and Kenwood. Shop for both large home appliances and small kitchen appliances online on Jumia Egypt and have your orders delivered to an address of your choice. Jumia Egypt's online appliance store stocks an array of home and kitchen equipment; these include electrical appliances such as food storage and preservation appliances which include refrigerators and deep freezers. You can shop for Heating & cooling appliances, vacuum and floor care appliances. 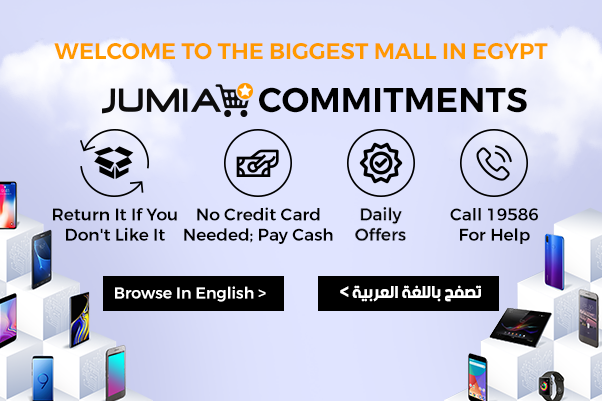 Other home and kitchen items on Jumia Egypt include lighting and ceiling fans, home decor accessories , bedding, furniture, storage and organization accessories and wall art. Shop from Jumia Egypt for all your household appliances needs. Enjoy great discounts on home and kitchen appliances. Pay for your order securely online or cash on delivery.